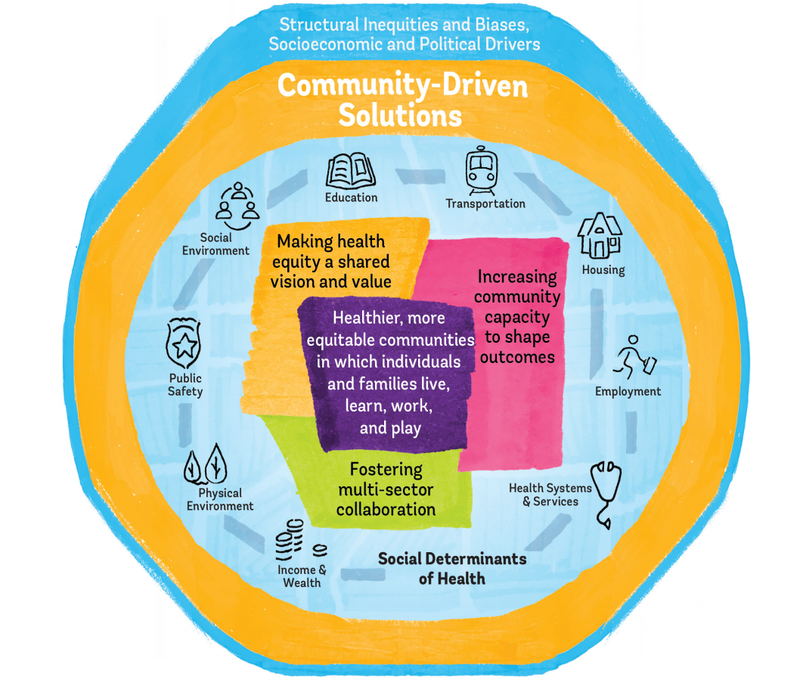 The Health Equity Hub includes additional report resources including sector briefs and an interactive conceptual model of the social determinants of health. Click above to visit the health equity hub. Communities in Action: Pathways to Health Equity is the first in a series of consensus reports to emerge from the National Academy of Medicine’s Culture of Health Program. Health equity is the state in which everyone has the opportunity to attain full health potential and no one is disadvantaged from achieving this potential because of social position or any other socially defined circumstance. This report finds that system-level changes are needed to reduce poverty, eliminate structural racism, improve income equality, increase educational opportunity, and fix the laws and policies that perpetuate structural inequities. All actors in society—residents and community-based organizations, in partnership with businesses, state and local government, anchor and faith-based institutions—have the power to change the narrative and help promote health equity. This report also highlights promising solutions to help create equal opportunity for health in communities, which is the foundation for health equity. Health equity is crucial. Health equity is fundamental to the idea of living a good life and building a vibrant society because of its practical, economic, and civic implications. Promoting health equity could afford considerable economic, national security, social, and other benefits. Yet recent research demonstrates that worsening social, economic, and environmental factors are affecting the public’s health in serious ways that compromise opportunity for all. Health inequity is costly. Beyond significant costs in direct medical care expenditures, health inequity has consequences for the U.S. economy, national security, business viability, and public finances, considering the impact of poor health on one’s ability to participate in the workforce, military service, or society. Addressing health inequities is a critical need that requires this issue to be among our nation’s foremost priorities. Learn more about the root causes of health inequities here. We are proud to present the stories of these three diverse communities that face complex, pervasive challenges but are all making progress in advancing health equity. While every community must develop an approach suited to its own unique needs, our hope is that in sharing these stories, communities facing similar challenges might be inspired and informed to build solutions that are right for them. Residents of West Buffalo, NY inhabit some of the oldest houses in the nation. Many live with lead, asbestos, and mold every day. 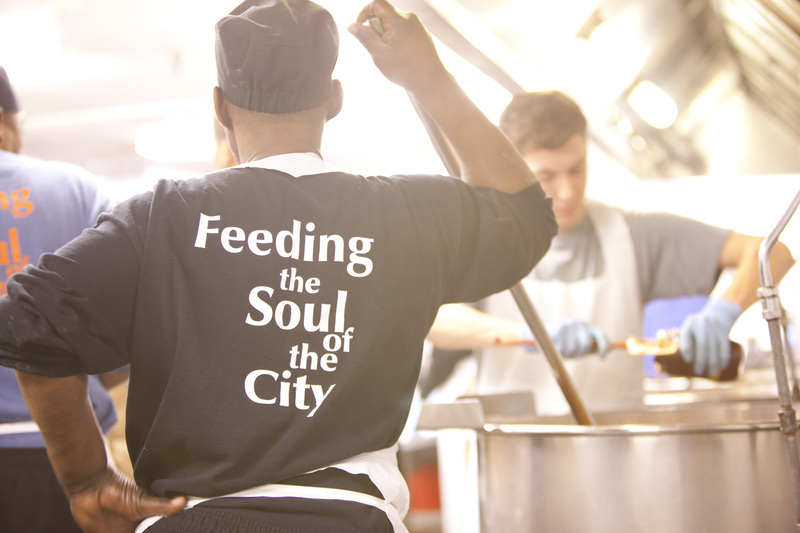 PUSH Buffalo is helping them take their health and their homes back into their own hands. IndyCAN is reminding every member of their community that they have power to fight health inequity. From listening campaigns to research and rallies, IndyCAN organizes people for a purpose. Kokua Kalihi Valley Comprehensive Family Services serves over 10,000 community members each year and works to foster physical, mental, emotional, and spiritual health for everyone. 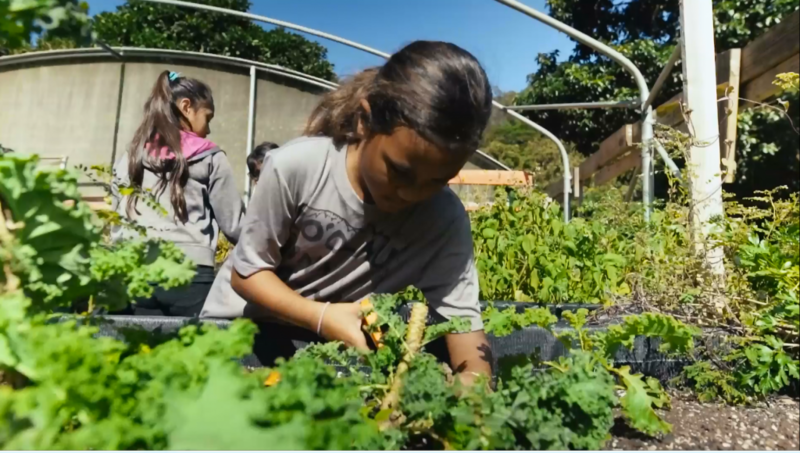 A healthier Kalihi Valley, envisioned by the community leaders who founded KKV over 40 years ago, is an inclusive community in which neighbors help to heal neighbors, and people see themselves as part of a larger whole, connected to each other, to their culture, and to their shared land. Submissions closed on March 18, 2019. Selected entries will be notified by May 15. 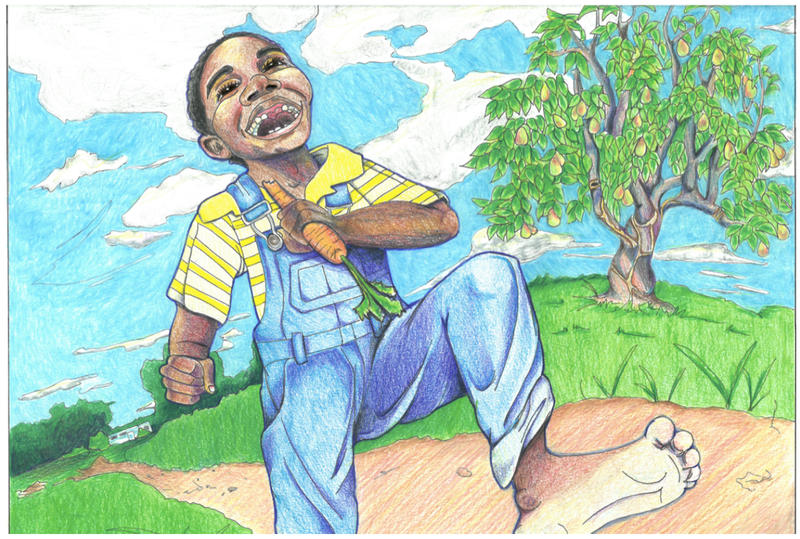 We called on young leaders, ages 5-26, to use art to explore how the social determinants of health play a role in shaping their lives and their communities, and what it might look and feel like to one day live in a world where everyone has the same chance to be healthy, safe, and happy. Selected entries will be displayed in a digital gallery in fall 2019. The National Academy of Medicine called on artists from across the nation to illustrate what health equity looks, sounds, and feels like to them. We received over 100 art submissions, including paintings, drawings, poetry, photos, videos, spoken word, and more. 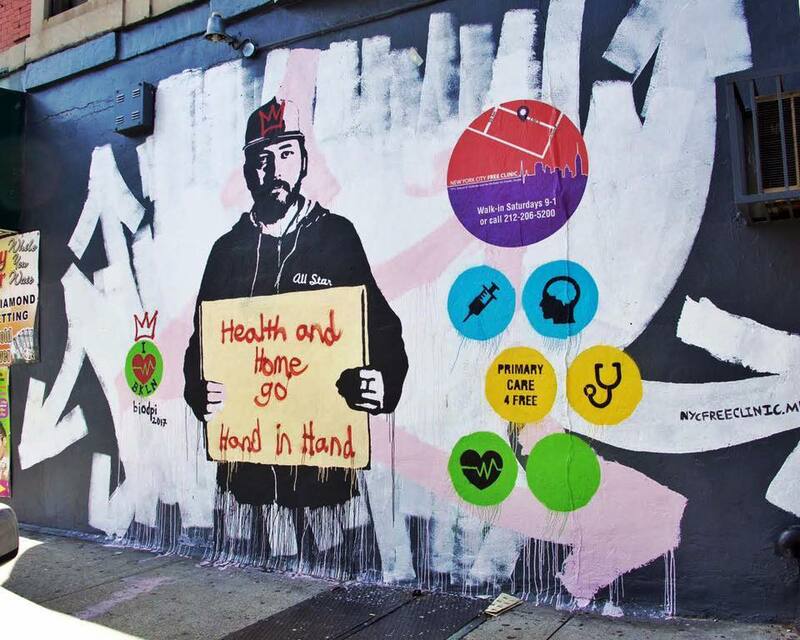 By sharing insights directly from people in diverse communities around the United States, the goal of this community art project is to get more people thinking and talking about health equity and the social determinants of health. It is our hope that through a creative lens, we can better understand what people across the country see as the most important health challenges and opportunities facing their communities. The pieces found within offer moving insights into how individuals and communities view and prioritize health and demonstrate how health is an essential building block to a thriving community and nation. Inspired by the 2017 National Academies report Communities in Action, this series highlights individuals or groups who are working to advance health and health equity in communities across the nation. The series features preventive strategies and programs that are conceived and implemented at the local level and focus on a range of factors that contribute to health, like education, employment, health systems and services, housing, income and wealth, the physical environment, public safety, the social environment, and transportation. Interviewees describe challenges, success stories, and lessons about what has worked for their organizations and communities. The purpose of the series is to share information, support networking, and spark new ideas. An ad hoc committee will examine the neurobiological and socio-behavioral science of adolescent development, health, well-being, resilience, and agency including the science of positive youth development. The committee will also focus on how this knowledge can be applied to institutions and systems so that adolescent well-being, resilience, and development are promoted and that systems address structural barriers and inequalities in opportunity and access. Neurobiological and socio-behavioral research indicate that early life conditions, including social support and adversity, shape prenatal and early childhood development. These exposures unfold through education, housing, physical and social environment (the social determinants of health). However, programs and policies designed to mitigate these adverse conditions have not always had the positive effects intended for the majority of recipients of these programs. The goals of this study are to provide a brief overview of stressors that affect brain development and health; identify promising models and opportunities for translation of the science to action; identify outcome measures; develop a roadmap to apply the science to tailored interventions; and provide recommendations in the areas formerly listed. This study will examine the potential for integrating services addressing social needs and the social determinants of health into the delivery of health care to achieve better health outcomes and to address major challenges facing the U.S. health care system. The committee will discuss approaches currently being taken by health care providers and systems, and new or emerging approaches and opportunities; current roles of different disciplines and organizations, and new or emerging roles and types of providers; and current and emerging efforts to inform the design of an effective and efficient care system that improves the nation’s health and reduces health inequities. Building a culture of health requires the involvement of many stakeholders. To learn more about the NAM’s Culture of Health Program, contact program director Charlee Alexander at CMAlexander@nas.edu. 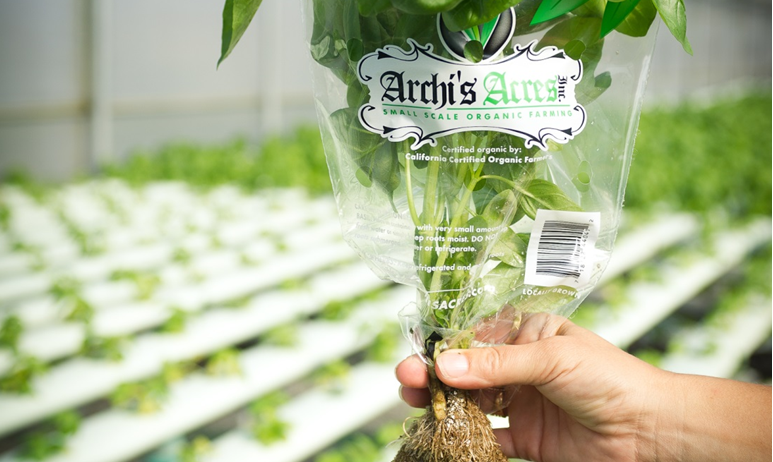 You can also join our mailing list for program updates.